You may remember a few weeks ago I told you of a canter exercise is been doing with a lot of the horses I ride and teach with. It does require a wider than normal arena though, which means a few readers can’t utilise the exercise. So I have a variation on it, which can be done in a 20x40m ménage. In left canter, ride the diagonal line F to H. Between F and X ride a left circle in canter, of approximately 15m. Over X ride a transition to trot. Then trot a right circle between X and H, also of about 15m. I won’t repeat myself in the benefit of the trot circle on the opposite rein to the canter circle, you can read the full explanation in the original canter post (see link above). You can however, begin to build on this basic exercise once you have mastered it on both diagonal lines. Step two, is to pick up canter after the trot circle, so in the example above this would be right canter. The trot circle gives both you and your horse time to prepare for the new canter lead, whilst asking for a strike off in the middle of the arena tests your horse’s balance and understanding of the aids in order for them not to drift through the transition and to ensure they pick up the correct lead. Step three is picking up canter before the circle. Which means instead of a trot circle it is a canter circle. Less time between the two leads teaches obedience, focus on the rider, and further improves their balance. Step four. Reduce the number of trot strides over the letter X. 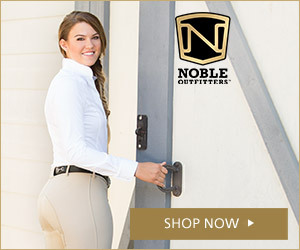 This is great preparation for novice dressage tests, which commonly have a change of canter lead through trot. Step five for those of you looking towards elementary level dressage; change the canter lead with a simple change. This requires more engagement from behind and for the horse to have a more established and elevated canter in order for them to not fall onto their forehand in the downwards transition which then prevents them from being able to push directly from walk back into canter. Bonus points if you can execute a flying change over X. At the moment Phoenix is only working on step three. The first circle is feeling very balanced, she’s staying straight through both the downward and upward transitions and I can feel her really pushing back up into canter from her hindquarters. However, the second canter circle is still feeling a bit rushed and she drops onto her inside shoulder. Whilst her canter transitions are improving, we need to work on establishing her canter rhythm quicker so that she can stay balanced around the second circle. Once she’s established on the second circle, I’ll begin working towards step four and introducing direct transitions. Previous Article Anyone Else Get It?